I’ve written about house hunting before. One of the steps in the process is providing proof of funds. 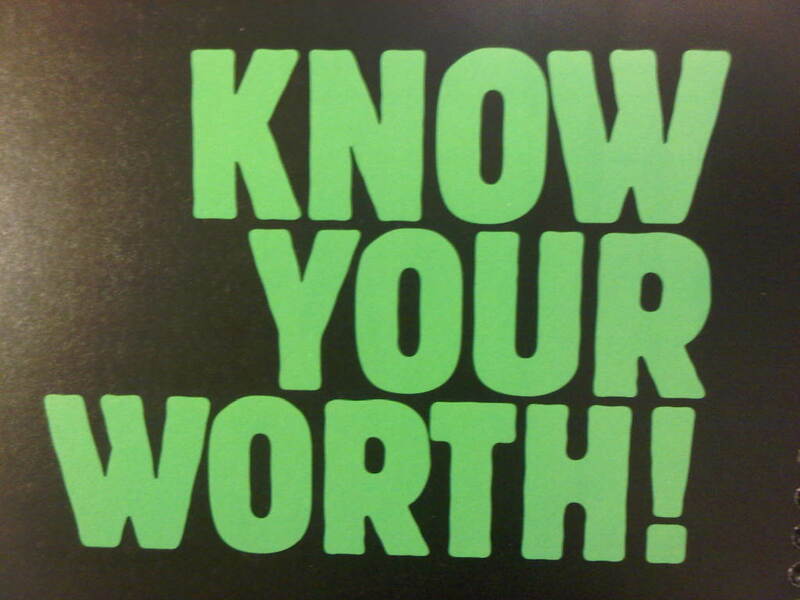 I’ve done this multiple times now, and each time, I am reminded of what I am currently worth. It’s not a lot, but it’s better than Carrie Bradshaw. When the topic of financial net worth comes up… it’s pretty straight forward. What assets do you have? Where are your funds? Investments? Savings? But when the topic of personal worth come up… this area, for me at least, is a little gray. My worth came from what I had, what I could ‘show off’ what and whom I wanted to be associated with. I evaluated this worth based on external factors… not that different from net worth. Material worth. I know the reasons behind this… as a kid, I didn’t know how to increase my internal worth- my self-worth. I had decided long ago that my worth came from others, and not myself. It took me a long time to figure out that the banks were really the only ones who would look at material worth and help me in a positive way… the other stuff? Didn’t do anything except push me down the wrong paths. I eventually understood, that most people- the ones I cared about anyway- didn’t care about that stuff. They cared about me. And I wasn’t giving them the opportunity to fully know that ‘me’. I was too busy creating a perfect version of myself through things, and hot smart boyfriends that looked good in society and on paper. It was in my own mind that I thought that was important, and thought others thought that was important, and thought it was important that others thought that was important. Whew! Now can you see why I was just spinning around in the wrong direction? What I needed to do, was find my own worth- on the inside. 1) Understanding who you are, what makes you tick. Where your loves and passions and natural tendencies lie. 2) Working with what you’ve discovered in #1. If it is something you don’t like about yourself, work with it in a way that can turn it into a positive. If you love something about yourself, let it shine. 3) Life becomes easier for you, and for everyone else when you become comfortable and invested in #1 and #2. And people can sense it, feel it, and that is where the external comes in. They support you, propel, and guide you to be that best you. Like monetary worth- cut out bad investments. Diversify, take some risks, but know your ultimate goals… just as you would financially. When you accomplish and understand self-worth, things start to work out. Your job, your relationships make sense, because they align with your key values and purposes. Not only will you understand your worth, but you become worthy of it. Why, yes, yes you are worthy.